I never knew something like this even existed! 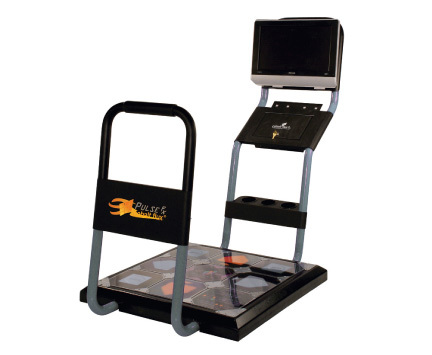 Maybe CF developed it in their twilight years and it was never made, but how cool would something like this be for a home DDR setup!? ^ It's got cup holders! I found it through some info Aaron shared on AIJ in regards to a post I wrote requesting more info on the Cobalt Flux company. I'm sorry, what did you say? I couldn't hear you over the DOUBLE PULSE! ^ Needs extra cup holders.